Want to have some tasty Japanese food after settling down? Check out these cool restaurants in Ueno and other places in Tokyo! Convenient and easy access from Narita to Tokyo and vice versa. Only 41 minutes and you’re in the city or airport. There’s also an outlet to charge your devices. Purchase a Tokyo Skyliner one way ticket and travel between the airport and Tokyo without the hassle or stress of transfers or congestion. 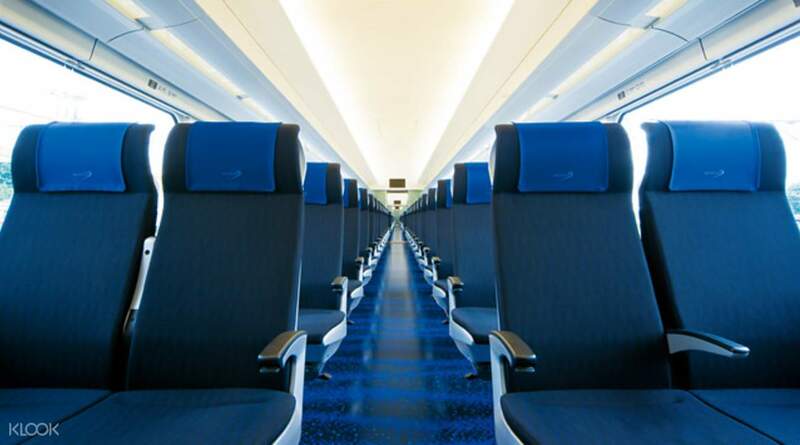 The Keisei Skyliner is a top of the range high-speed train that operates between Narita Airport and Ueno (downtown Tokyo) offering a comfortable and efficient passenger service. With services from terminals 1, 2, 3, the Skyliner provides a non-stop service to Nippori Station, which offers easy connections onto JR lines, as well as stopping at Ueno in the heart of downtown Tokyo. With 3 services running each hour, discover the convenience and comfort of one of Japan's fastest trains and start your Japan journey in the best possible way! Locate the Skyliner counter inside Keisei Ueno station (different to JR one), present mobile voucher to counter staff (no need passport) and receive your tickets. All in all an easy affair, but do reserve extra time for queues and first come first serve reserved seating. All seats have AC power ports and there are washrooms and a vending machines on board. Locate the Skyliner counter inside Keisei Ueno station (different to JR one), present mobile voucher to counter staff (no need passport) and receive your tickets. All in all an easy affair, but do reserve extra time for queues and first come first serve reserved seating. All seats have AC power ports and there are washrooms and a vending machines on board. A very smooth and fast train ticket redemption at Keisei skyliner counter. The train experience from Ueno station to Narita Airport Terminal 2 is around 44 mins, train is very clean and spacious for reserved seats. There is an allocated area to store luggage and hand carry bags for every car in the train. We redeem tickets at Ueno skyliner counter but need to exit out from Ueno station then walk outside to the Keisei skyliner building, around 3 mins walk. However, I think if use Nippori should be linking from Nippori station to the Keisei skyliner. A very smooth and fast train ticket redemption at Keisei skyliner counter. The train experience from Ueno station to Narita Airport Terminal 2 is around 44 mins, train is very clean and spacious for reserved seats. There is an allocated area to store luggage and hand carry bags for every car in the train. We redeem tickets at Ueno skyliner counter but need to exit out from Ueno station then walk outside to the Keisei skyliner building, around 3 mins walk. However, I think if use Nippori should be linking from Nippori station to the Keisei skyliner. 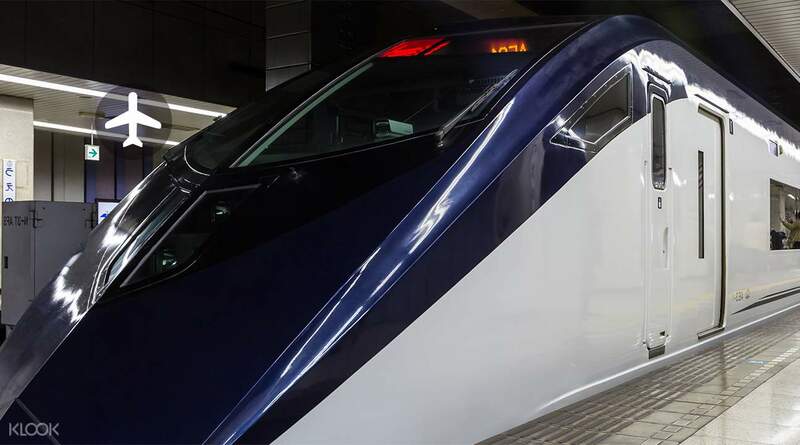 The fastest way from Narita to the city at 34 minutes, although the station is in Ueno, it is a convenient ride away on the JR Yamanote line to or from all areas in Tokyo like Shinjuku, Harajuku, Akihabara, Ginza, Ropponggi, Tokyo, or Shibuya. Be sure to be early and not miss your scheduled train to the airport because the next train is in 30-40 minute intervals. A missed train may mean a missed flight. 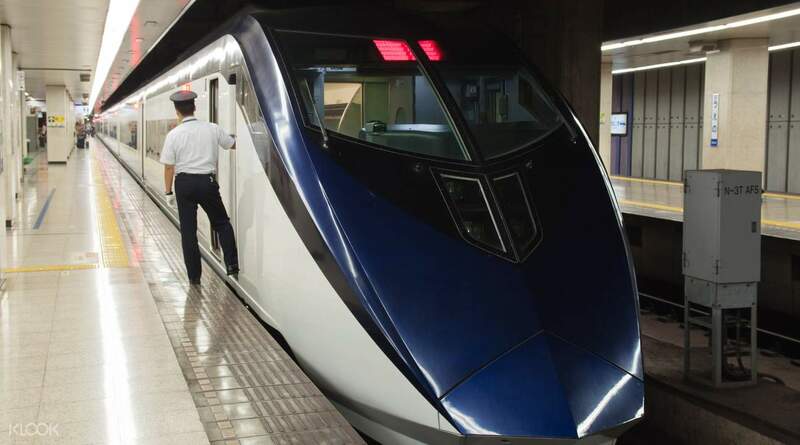 The fastest way from Narita to the city at 34 minutes, although the station is in Ueno, it is a convenient ride away on the JR Yamanote line to or from all areas in Tokyo like Shinjuku, Harajuku, Akihabara, Ginza, Ropponggi, Tokyo, or Shibuya. Be sure to be early and not miss your scheduled train to the airport because the next train is in 30-40 minute intervals. A missed train may mean a missed flight. Tokyo Skyliner is the fastest and most convenient way to reach Narita airport from the downtown area or vice-versa. The best part is that it runs pretty frequently, so you can be carefree. Best prices on Klook. Tokyo Skyliner is the fastest and most convenient way to reach Narita airport from the downtown area or vice-versa. The best part is that it runs pretty frequently, so you can be carefree. Best prices on Klook. The Skyliner booth was very easy to find at Terminal 2. After claiming, you just go down and you can easily find the Skyliner platform. The ride was smooth. You can stow luggage at a designated area in your train cart. This is such a great way to start your trip in a country that can lose you in translation. The Skyliner booth was very easy to find at Terminal 2. After claiming, you just go down and you can easily find the Skyliner platform. The ride was smooth. You can stow luggage at a designated area in your train cart. This is such a great way to start your trip in a country that can lose you in translation. Very fast and easy transaction with klook from booking to redemption at the airport. Our trip with Skyliner from Narita Airport to Ueno Station was hassle free,comfortable, convenient and very time efficient. We were able to explore the area around our hostel upon arriving because there was still much time left for that day when we arrived in Tokyo. We also had fun sight seeing during the trip. It was indeed worth it! Very fast and easy transaction with klook from booking to redemption at the airport. Our trip with Skyliner from Narita Airport to Ueno Station was hassle free,comfortable, convenient and very time efficient. We were able to explore the area around our hostel upon arriving because there was still much time left for that day when we arrived in Tokyo. We also had fun sight seeing during the trip. It was indeed worth it! Great experience, it’s smooth and stress free ride. Getting from the airport, which is out in the sticks, to the big city can take a little longer and be a bit more complex than expected. Luckily, both the Keisei Line and Japan Railways run trains throughout the day, including dedicated airport expresses. If you’re happy to pay for speed, Keisei’s fastest option, the Skyliner, can get you to downtown Tokyo in as little as 41 minutes. Great experience, it’s smooth and stress free ride. Getting from the airport, which is out in the sticks, to the big city can take a little longer and be a bit more complex than expected. Luckily, both the Keisei Line and Japan Railways run trains throughout the day, including dedicated airport expresses. If you’re happy to pay for speed, Keisei’s fastest option, the Skyliner, can get you to downtown Tokyo in as little as 41 minutes. Claiming the voucher was easy, we found the HIS Counter at the south wing of arrivals area at NRT Terminal 1. Then we claimed the actual ticket at the train station, the ticketing office of the skyliner was big enough so you could see it immediately. Travel time from NRT to Ueno station was just less than hour! There are outlets below the seats wherein you can charge your gadgets, too. We also used this when we went back to NRT from Ueno Station. We claimed our voucher at HIS TIC counter in front of Harajuku Station, very near Meiji Shrine. Claiming the voucher was easy, we found the HIS Counter at the south wing of arrivals area at NRT Terminal 1. Then we claimed the actual ticket at the train station, the ticketing office of the skyliner was big enough so you could see it immediately. Travel time from NRT to Ueno station was just less than hour! There are outlets below the seats wherein you can charge your gadgets, too. We also used this when we went back to NRT from Ueno Station. We claimed our voucher at HIS TIC counter in front of Harajuku Station, very near Meiji Shrine. Q: Can I book roundtrip tickets? A: No. Only single trip tickets are available on Klook. However, the tickets are valid for 60 days so you can book 2 single trip tickets to create a roundtrip ticket as long as your return trip is within 60 days. 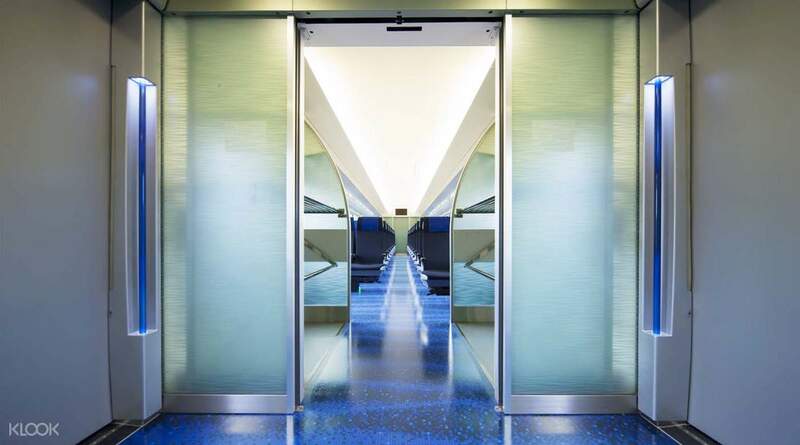 Q: Can I depart from Haneda Airport by Skyliner? A: The Skyliner does not connect to Haneda Airport, it only goes between Narita Airport and downtown Tokyo. If you arrive at Haneda Airport and plan to leave Tokyo from Narita Airport, we suggest picking up your Skyliner exchange voucher at Haneda Airport or HIS-TIC Harajuku Tourist Information Center. Take this exchange voucher to the Skyliner ticketing counter at Ueno station to receive your ticket to Narita. Q: How can I make a seat reservation? A: You can make a seat reservation after picking up your Skyliner ticket at the ticketing counter. (Note: this is when you receive your physical Skyliner ticket, NOT when you receive your exchange voucher). Please ask the staff for help reserving your seat.